Earn money with pet related ads for your website! With the PetAdvantage Publisher Partner Program, our system matches content related ads to your web site while you earn money from people visiting those related ads. Own a pet related web site? Start Advertising! We crawl your pages to deliver ads that relate to your site. Ads are always related to pets. No need to sell advertising. 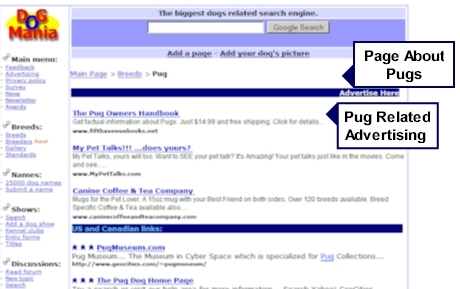 You are paid for each click on a PetAdvantage ad that originates from your site.